In two weeks, my blog will be a year old. Today I'm going divulge my schedule for taking over the world blogging. Next week the evil lair will get revamped. The week after that, I shall give you cake as we celebrate my blog's birthday. 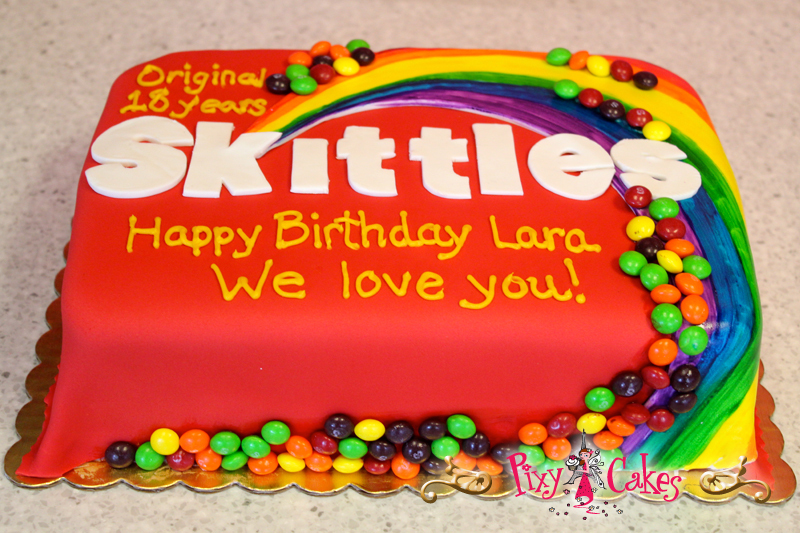 Oh my gosh, Skittles cake, my life is complete. Bear with me; I'm still figuring out this blogging thing. Apologies for any awkwardness as I figure this out. Congratulations on your upcoming blogaversary. It's a great time to rethink the way you blog, and make any changes if you feel like it, isn't it? I look forward to seeing the new blogging schedule. Having a schedule has always helped me stay on track with my blogging. I hope it helps you too!